Let your imagination run wild as you watch planets orbit the sun. 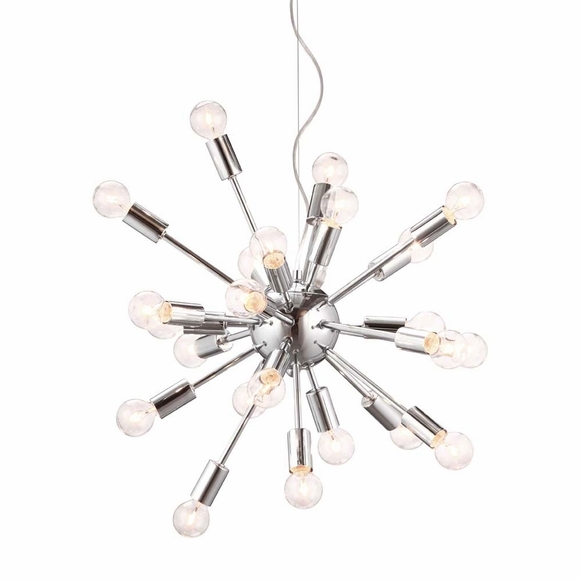 The Pulsar Ceiling Lamp's stellar design is out of this world. Bulbs not included. Bulbs sold seperately, Max Watt 25 W, Size E12, Type G45. UL approved and listed.